Kevin Eldon will voice Penfold while Dave Lamb takes on the role of The Narrator. Actor, comedian and Pointless host Alexander Armstrong is set to voice Danger Mouse in the upcoming new animated series. Actor Kevin Eldon will voice Penfold while comedian and voice of Come Dine With Me Dave Lamb will take on the role of The Narrator. “As a lifelong fan of Danger Mouse I was ecstatic just to know that the show was coming back," said Armstrong. "To be actually involved with the reboot and to be taking DM out to a whole new generation is about as close to a dream job as you could wish for." Kevin Eldon said: “I’m absolutely delighted to be the new voice of Danger Mouse’s trusty sidekick Penfold. "It’s a role and not a mole, Penfold’s not a mole, he’s a hamster that I’m going to really enjoy. When I am recording the episodes, I’ll be making sure that at all times my eyebrows are at least three inches above my head." Elsewhere, The Descent’s Shauna MacDonald will voice Professor Squawkencluck, the niece of the original Professor while British Animation Awards Best Voice Performance winner Morwenna Banks will lend her vocal talents to a variety of roles across the series. Further cast announcements for additional characters will be made at a later date. 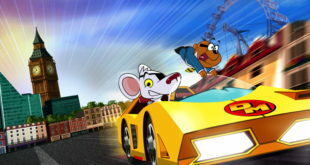 “We’re all genuinely bowled over to have Kevin and Alexander on board as Penfold and the mighty DM himself," said Cheryl Taylor, controller of CBBC. 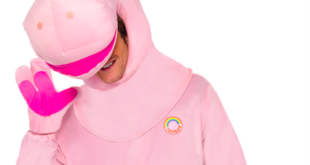 "They are both funny and fabulously talented performers and along with well-loved CBBC favourite, Dave Lamb, will ensure that the series’ considerable comedy credentials are bestowed on a new generation of fans." Bob Higgins, EVP creative and production from FremantleMedia Kids & Family Entertainment added: “Danger Mouse is one of the most popular children’s TV characters ever to grace television screens and we have a big responsibility to carry on the tradition and recreate the comedy magic of the original series. "Our new vocal cast has the perfect blend of talent, charm and tongue-in-cheek humour to bring these iconic and much-loved characters to life”. 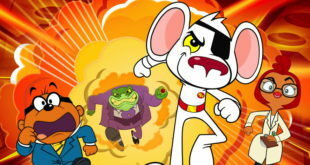 The new series of Danger Mouse is due to air on CBBC in 2015. FremantleMedia Kids & Family Entertainment owns the global TV and licensing rights to the series.